The RACO MA series electric actuator is an extremely flexible modular system, which allows you to customize the actuators to the specific requirements of the application. 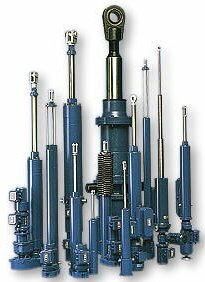 The MA actuator system can accommodate virtually any drive configuration and any electric motor; from the standard RACO motor through a variety of AC or DC gear-motors to high performance Servo motors. size 2 and sizes 4 to 11. Depending upon your application requirements, we can offer either the reliability of the RACO self-locking acme screw for robust applications or the precision of the RACO ball screw for high positioning accuracy, durability and repeatability. T1A4 550 550 550 550 lbf. T1M4 1100 1100 1100 1100 1100 1100 lbf. Size 4 T1C4 1100 1100 850 550 550 550 550 lbf. T1N4 1100 1100 1100 lbf. T1T4 1100 1100 1100 1100 1100 1100 850 lbf. T1A5 1100 1100 1100 lbf. T1M5 2200 2200 2200 2200 2200 2200 lbf. Size 5 T1C5 2200 2200 1650 1100 1100 1100 1100 1100 lbf. T1N5 2200 2200 2200 lbf. T1T5 2200 2200 2200 2200 2200 2200 1100 1100 lbf. T1A6 2200 2200 2200 lbf. T1M6 4500 4500 4500 4500 4500 4500 3400 lbf. Size 6 T1C6 4500 3400 2200 2200 2200 2200 lbf. T1N6 4500 4500 4500 4500 4500 lbf. T1T6 4500 4500 4500 4500 4500 4500 3400 2200 2200 lbf. T1M7 11250 11250 11250 9000 9000 9000 6750 6750 4500 4500 4500 4500 4500 lbf. Size 7 T1C7 4500 lbf. T1N7 11250 11250 11250 9000 9000 9000 6750 6750 4500 4500 4500 4500 4500 lbf. T1T7 11250 11250 11250 9000 9000 9000 6750 6750 4500 lbf. T1M8 22500 18000 18000 13500 13500 9000 9000 9000 9000 lbf. Size 8 T1N8 22500 18000 18000 13500 13500 9000 9000 9000 9000 lbf. T1T8 22500 18000 18000 13500 13500 9000 9000 9000 9000 lbf. T1M9 45000 45000 45000 36000 27000 lbf. Size 9 T1N9 45000 45000 45000 36000 27000 lbf. T1T9 45000 45000 45000 36000 27000 lbf. K1A4 550 550 550 550 lbf. K1M4 1100 1100 1100 1100 1100 1100 850 850 lbf. Size 4 K1C4 850 850 550 550 550 550 550 lbf. K1N4 1100 1100 1100 1100 1100 1100 lbf. K1T4 1100 1100 1100 1100 1100 1100 850 850 lbf. K1A5 1100 1100 1100 lbf. K1M5 2200 2200 2200 2200 2200 2200 2200 1650 1100 lbf. Size 5 K1C5 2200 1650 1100 1100 1100 1100 1100 1100 1100 1100 lbf. K1N5 2200 2200 2200 2200 2200 2200 lbf. K1T5 2200 2200 2200 2200 2200 2200 2200 1650 1100 lbf. K1M6 4500 4500 4500 4500 4500 4500 4500 4500 3400 2200 lbf. Size 6 K1C6 4500 3400 2200 2200 2200 lbf. K1N6 4500 4500 4500 4500 4500 4500 4500 4500 lbf. K1T6 4500 4500 4500 4500 4500 4500 4500 4500 3400 2200 lbf. Size 7 K1M7 9000 9000 9000 9000 9000 9000 6750 6750 5600 5600 3400 lbf. K1N7 9000 9000 9000 9000 9000 9000 6750 6750 5600 5600 lbf. K1T7 9000 9000 9000 9000 9000 9000 6750 6750 5600 5600 3400 lbf. K1M8 22500 22500 18000 18000 18000 18000 13500 13500 9000 lbf. Size 8 K1N8 22500 22500 18000 18000 18000 18000 13500 13500 9000 lbf. K1T8 22500 22500 18000 18000 18000 18000 13500 13500 9000 lbf. K1M9 45000 45000 40500 36000 31500 31500 31500 25000 lbf. Size 9 K1N9 45000 45000 40500 36000 31500 31500 31500 25000 lbf. K1T9 45000 45000 40500 36000 36000 31500 31500 27000 lbf. Size 10 K1T10 112500 112500 112500 112500 90000 90000 90000 lbf. Size 11 K1T11 225000 225000 225000 225000 180000 180000 lbf.